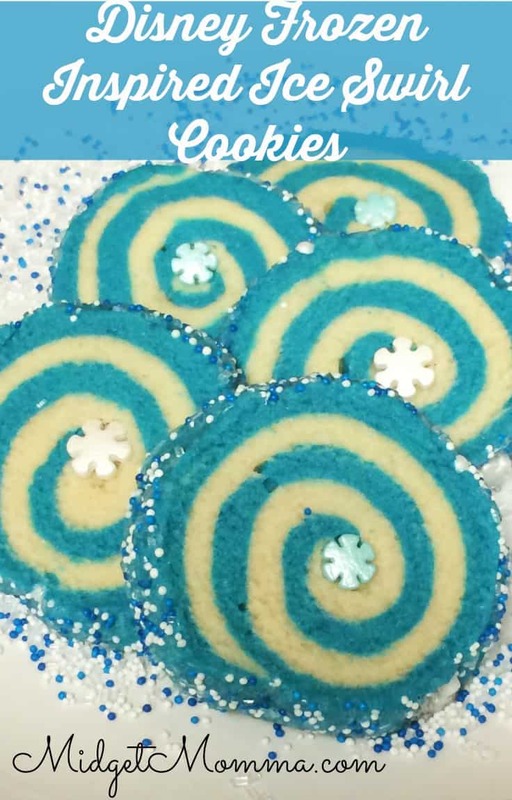 I decided to take a fun Frozen twist on our extremely popular Whoville cookies, they are easy to make and this fun Frozen twist on them I think is perfect for the Frozen fan. Since Disney’s Frozen has become such a popular movie I figured so many kids would be excited to have these cookies. My daughter had so much fun helping me. 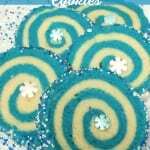 These cookies are full of magic and sparkles. I was so excited to find these snowflake sprinkles that were made by Wilton. The only problem I found was they will melt when you put them in the oven. Cream sugar and butter until fluffy, about 5 minutes. Mix dry ingredients in separate bowl and add to butter mixture, mix well. Separate the dough in half and color one part blue. Put one of the freshly made dough between two sheets of parchment paper and roll 11 x 9 inches and 1/4 inch thick. Repeat with the other color dough. Put the rolled dough including the parchment paper, on a cookie sheet and refrigerate for 10 minutes or longer. Take the top layer off both dough’s and lightly wet the tops. Sandwich the two colors together, using a paring knife trim the edges to make straight edges. Remove the top layer of paper and start rolling up and use the bottom layer of paper to pull it tight. If the dough tears, you can just pinch it together. Pour the sprinkles onto a large platter and roll the log onto the sprinkles and press them in. Place the dough into the fridge for 15 minutes or longer. Slice the dough into 1/4 inch slices and bake on parchment lined sheets. Bake at 325° F for 10 -15 minutes. As soon as the cookies come out of the oven place a snowflake in the middle of the cookie. Cream sugar and butter until fluffy, about 5 minutes. Add egg and vanilla. Mix dry ingredients in separate bowl and add to butter mixture, mix well. Separate the dough in half and color one part blue. Put one of the freshly made dough between two sheets of parchment paper and roll 11 x 9 inches and 1/4 inch thick. Repeat with the other color dough. Put the rolled dough including the parchment paper, on a cookie sheet and refrigerate for 10 minutes or longer. Take the top layer off both dough’s and lightly wet the tops. Sandwich the two colors together, using a paring knife trim the edges to make straight edges. 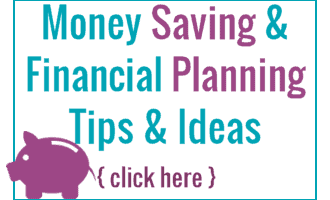 Remove the top layer of paper and start rolling up and use the bottom layer of paper to pull it tight. If the dough tears you can just pinch it together. Poor the sprinkles onto a large platter and roll the log onto the sprinkles and press them in. Place the dough into the fridge for 15 minutes or longer. slice the dough into 1/4 inch slices and bake on parchment lined sheets. Bake at 325° F for 10 -15 minutes. As soon as the cookies come out of the oven place a snowflake in the middle of the cookie. You states eggs (in plural) in your recipe, yet it calls for 1 egg. Is it a mistake? How many eggs? Is there just one egg in this recipe? It states one but consistently mentioned in plural. Just wanted to verify before taking this on! Thanks! This didn’t work… There’s definitely some liquid needed… is it possibly more eggs? As you have 1 listed only a plural word. Please correct. Could the dough be made ahead of time and frozen until I am ready to use it? how many cookies are approximately in one batch? Thanks! Can I freeze ahead of time and bake when I need it?. The dough is too crumbly. What can I do? Ich bin etwas ahnungslos. In der Anleitung steht was von Sahne aber in der Zutaten Liste ist sie nicht aufgeführt ? I am sorry google is not translating this for me I am not sure what you said.